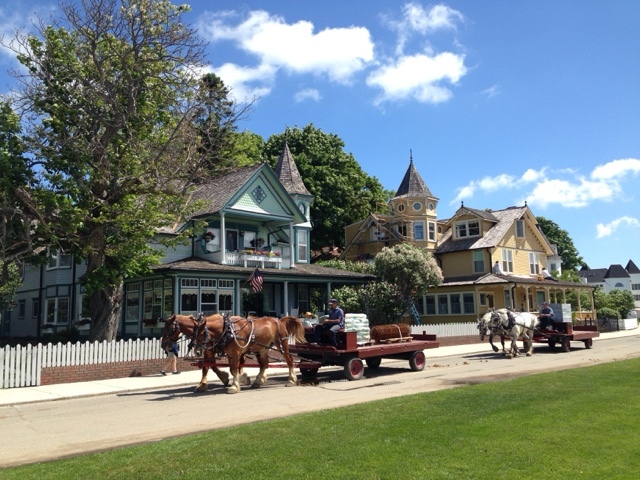 This is our third post for Mackinac Island Week! 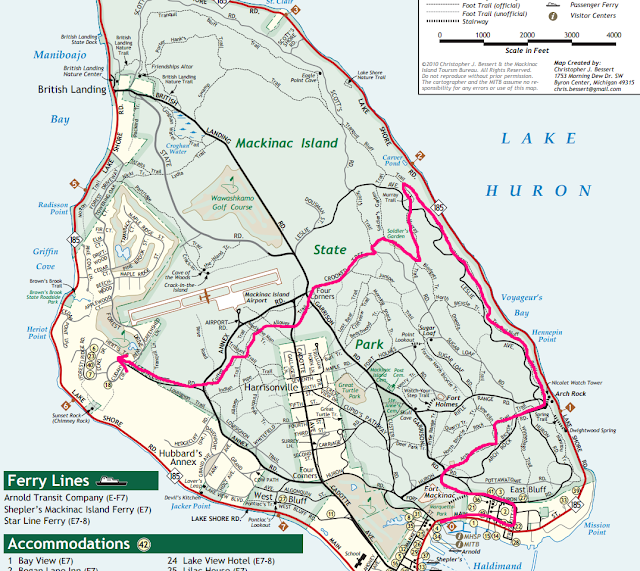 People don't automatically think of hiking when they think of Mackinac Island. Typically, they think of riding bikes around the island. 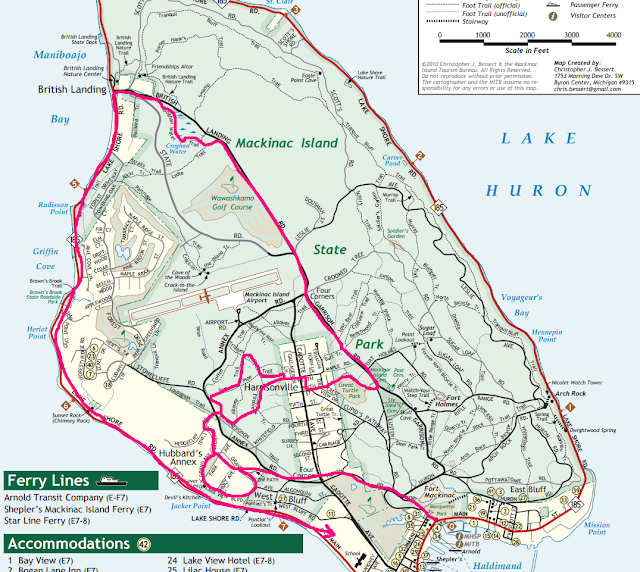 There are actually around 100 miles of hiking trails on the island. Some paved, some not. Most of them were very well maintained. 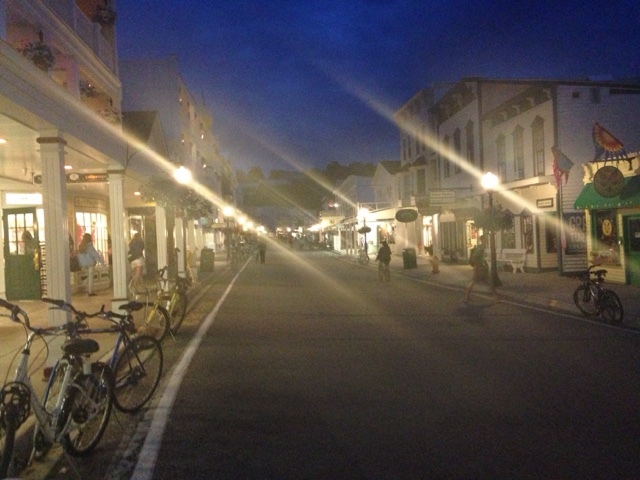 On the week that we went, there were so many people on the streets and on the road around the island. We felt like we were on a different island while on the hiking trails since there were hardly any other people around. They were so peaceful. 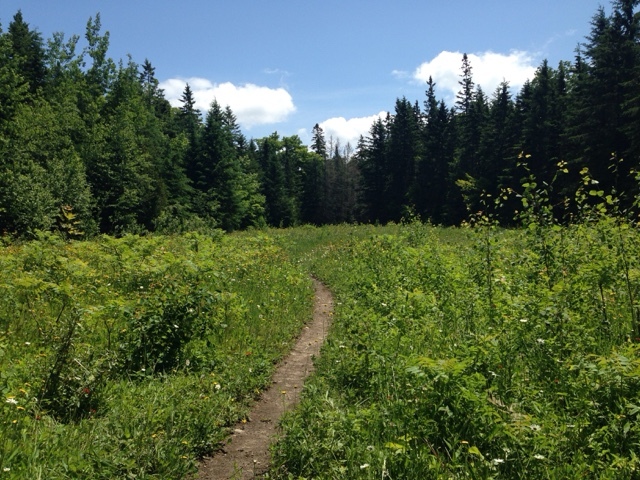 We can't wait to explore the trails again, we still have so much to see. 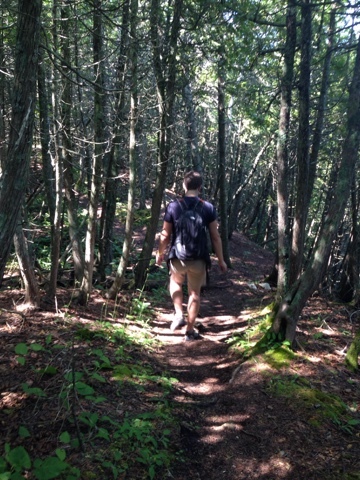 We do not have a background in hiking, but we are in relatively good shape. We brought a camel-back of water with us since there are not many places to stop once you get off the main drag of the island. And BUG SPRAY!!! Even during the day, this is important. Here are the places we went on our two days of hiking. 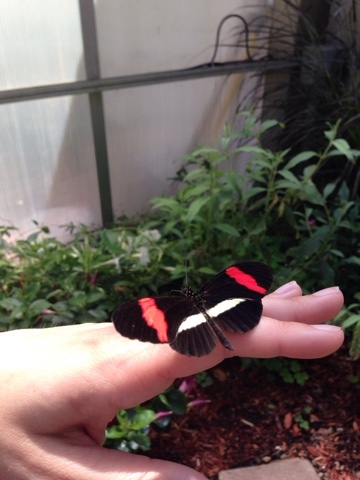 On Day One, we first stopped by the Butterfly House. This is a nice stop-over if you have small children, but you can skip it if you are with a group of adults or older children. 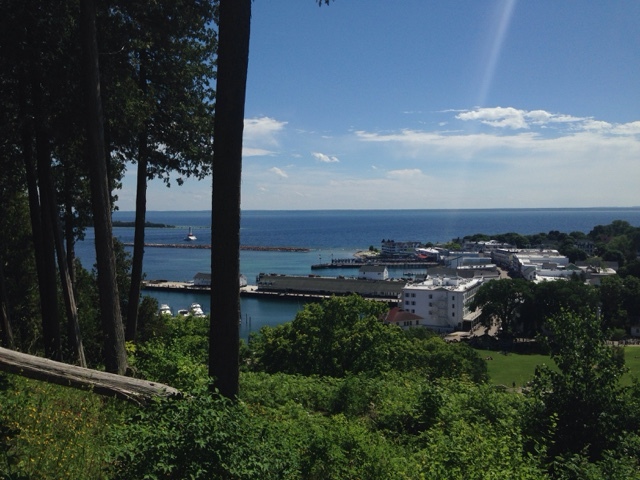 Next, we hiked on the trails up around Fort Mackinac. Since it costs money, we did not go inside The Fort. 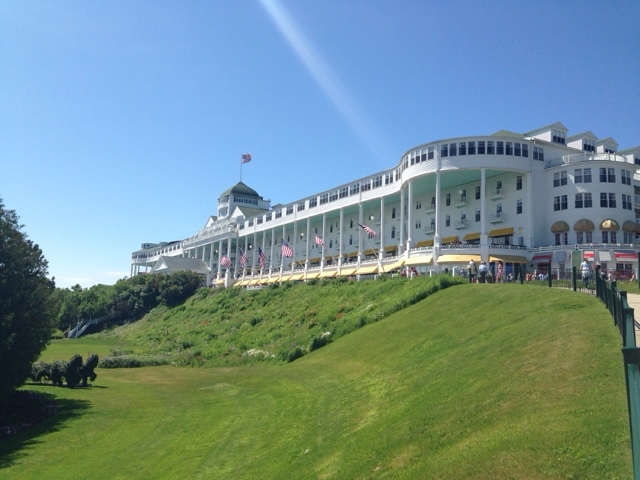 It was built by the British during The Revolutionary War, and was also used during the War of 1812. These trails in this area were not well maintained, but might be enjoyed by younger children since it is close to the main drag and has amazing views of the harbor. 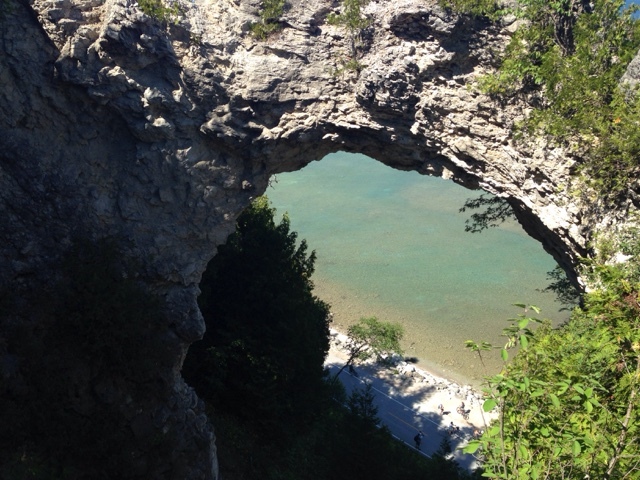 Onward through the trails to Arch Rock and the Watch Tower! This was the only area of hiking trails that we actually saw other people. 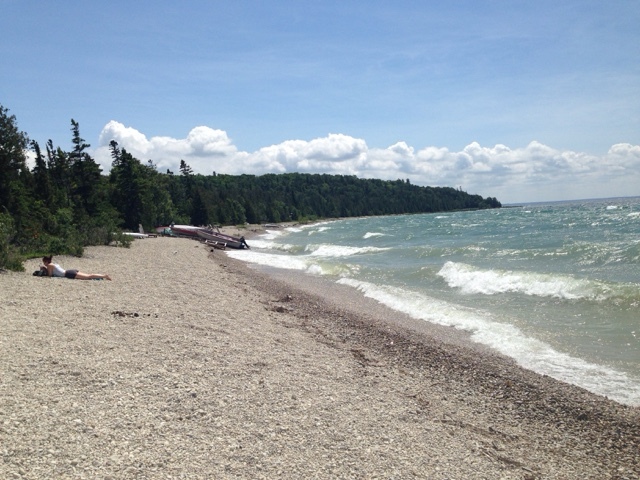 Many people will climb these trails from the bike loop around the island. 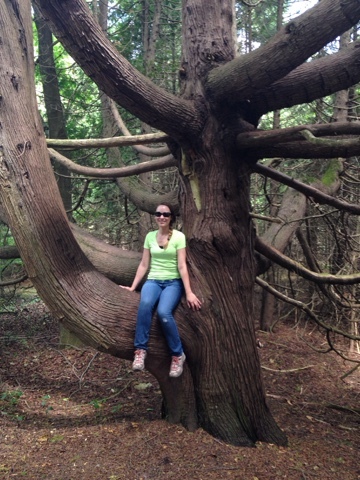 Some of these trails were paved, and are fun for the whole family to climb. From Arch Rock, we went North along the coast. Tranquil Bluff Trail. These were the most difficult trails that we walked. Up and down, cliffs to your side, the occasional slippery area. The views are absolutely amazing - the water here looks like a Caribbean Blue. 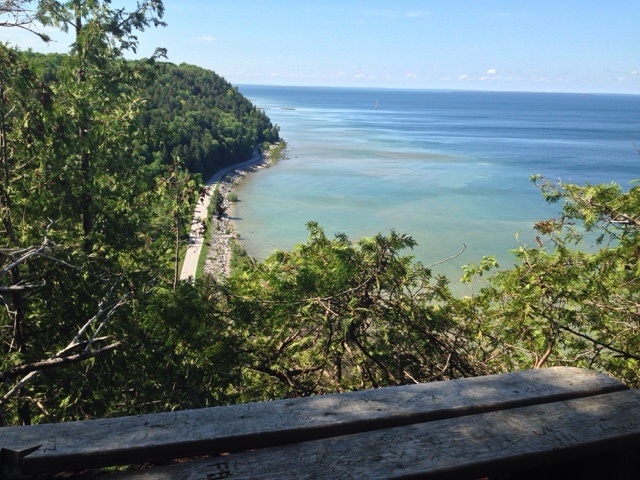 There are lots of little lookouts to discover. We even found a little bench with the most beautiful view. From there we went across the island, first coming across an open, beautiful field out of nowhere. This was called Soldier's Garden. On the second day, we started by walking around the beautiful homes in Hubbard's Annex. They are historic and so well maintained. From there, we went toward the center of the island again and found Great Turtle Park. We were blown away by this park! 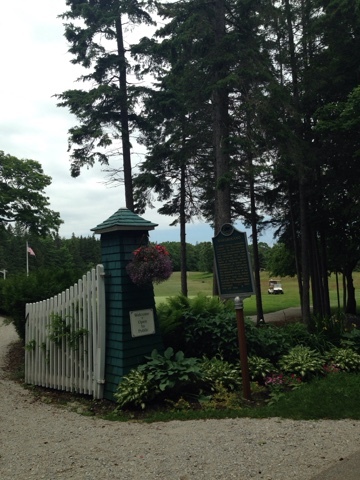 They had every type of sporting field you could imagine there, and it was all beautiful and looked brand new. Families were here together, and obviously lived in the area. 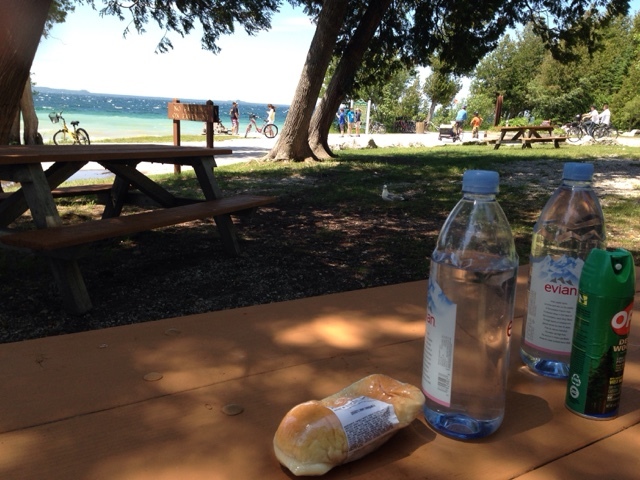 There were even large picnic areas with fire pits, and we just felt a great sense of community there. 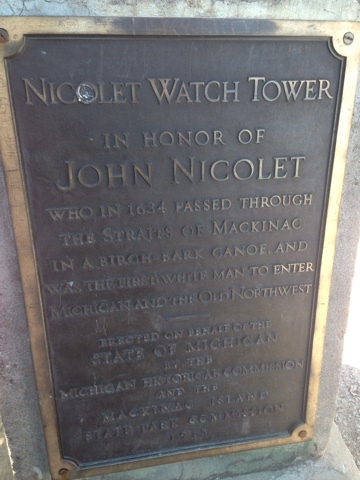 The Park was surrounded by modern homes that you would see in the suburbs in any other Michigan city. 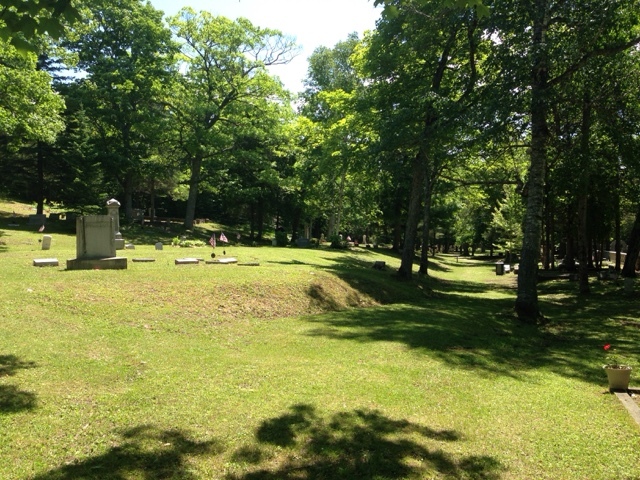 Onward to the beautiful Cemeteries which are all located together. Next, we decided to take the paved path up the center of the island toward British Landing. We were amazed by the way the landscape changed as we went North. 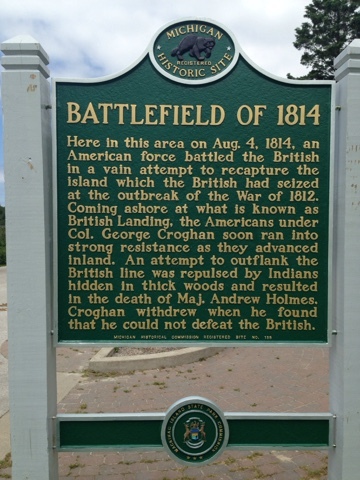 There are great historical markers about the wars fought on the island as well. 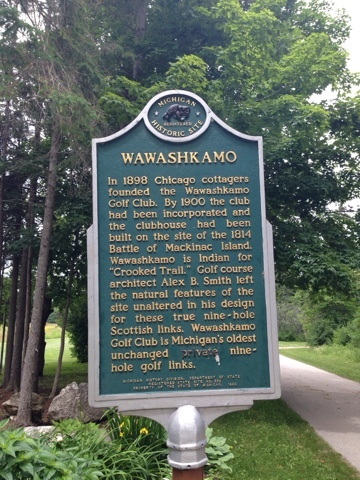 First, the Wawashkamo Golf Course. Then these crazy big trees with branches that all curved up toward the sun. 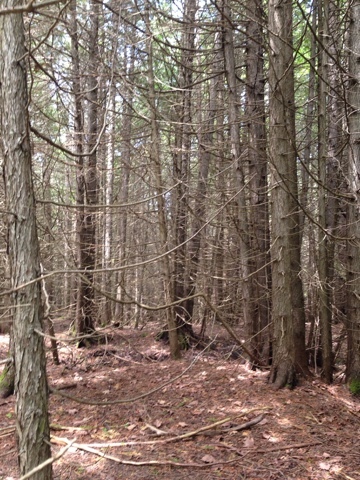 Then extremely tall pine trees, bare on the bottom, that swayed and made loud noises as they hit each other in the wind. We took a small detour off the paved road onto Croghan Water Trail. This was marshy, and had some natural springs and small rivers running through it. During this entire trip, it was interesting that we didn't really see much wildlife. For being in the woods, I think that we may have only seen one squirrel. 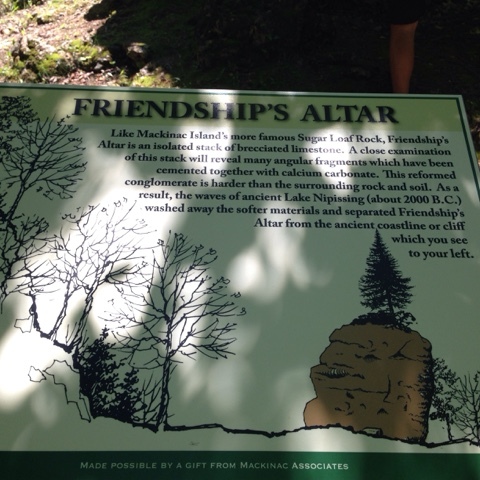 We also stopped at Friendships Alter. Time for a well-earned snack! 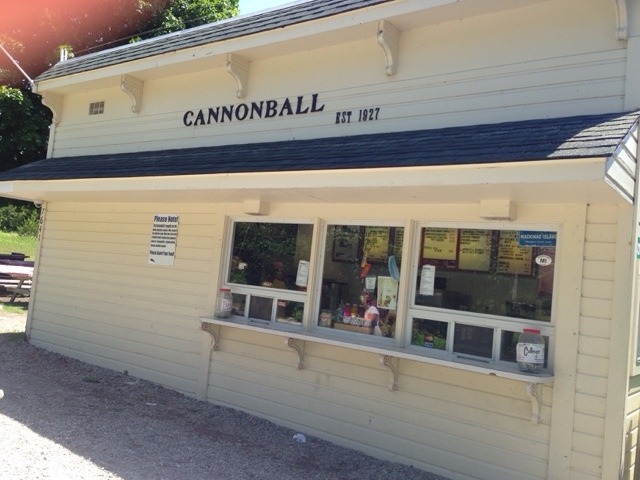 This popular stop is about half way around the island for bikers. 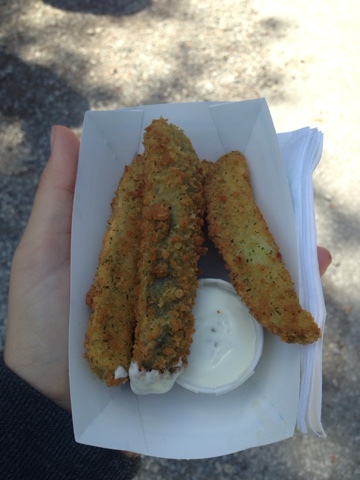 We had to try their fried pickles, and we also ate some sandwiches that we got at Doud's Market in the morning. 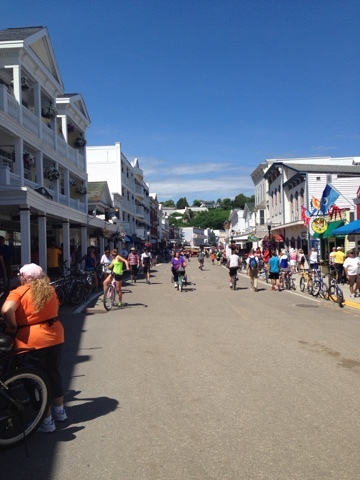 Finally, we followed the main bike road down past The Grand, to Main Street. We were done for the day! We have never been in The Grand, but we hope (and dream!) to stay there one day! 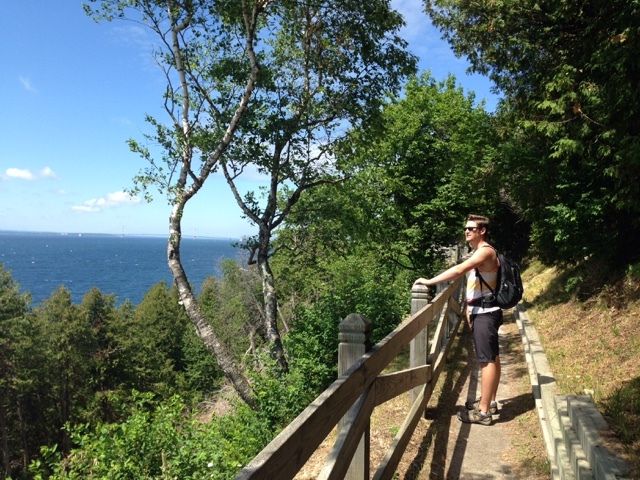 Hiking at Mackinac Island was such a great experience. We saw so many things that we didn't know existed, and talked to some really nice people. Consider using these trails during your next trip! 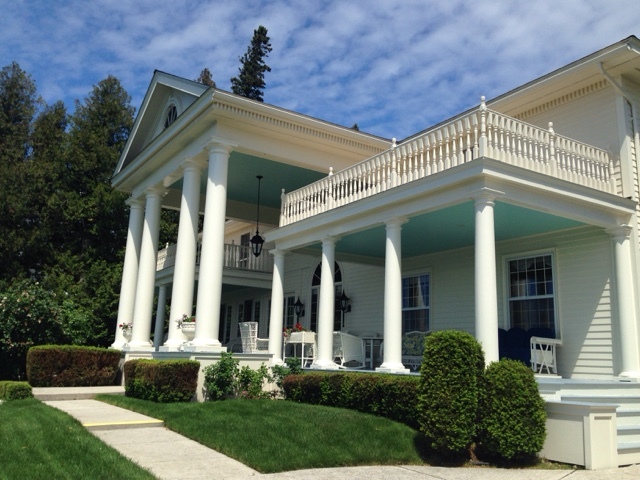 Don't forget your water, bug spray, and grab a map or two from the Mackinac Island Tourism Bureau Stand next to the Murray Hotel.